The vertical drop from summit to base is 3773 ft. The average difference in altitude between base and summit of Ski Resorts in Austria is 2388 ft. Most runs are therefore relatively long. The highest point of the track is 5741 ft above sea level. Season starts on Dec 8 and ends on Mar 31 (113 days). Average season duration in Austria is 114 days. Average snow depth during the season (Dec 8 to Mar 31) is 72 " at summit elevation and 27 " at base elevation. Snow coverage is usually best during March, offering an average snow depth of 72 " at summit elevation and 27 " at the base. Kössen features 49 sunny days on average per season. 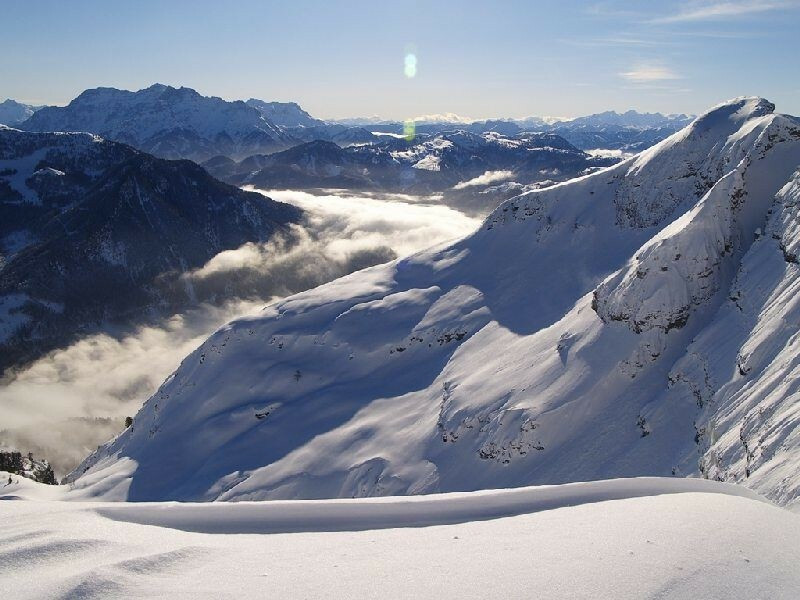 The average for all ski Resorts in Austria is 49 sunny days. February is the sunniest month with an average of 21 sunny days. 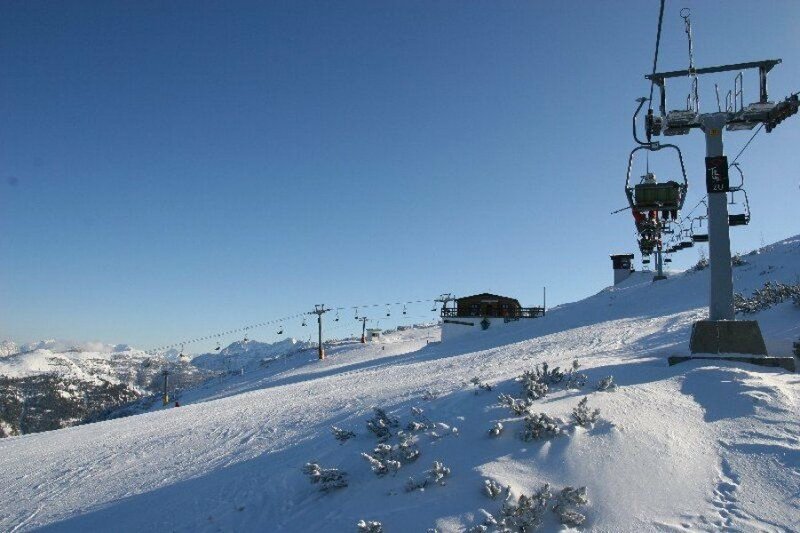 Winter sports enthusiasts can explore the Hochkössen ski area, which comprises 22 kilometres of pistes, in the Kaiserwinkel. In one of the snowiest regions of Tyrol, ten kilometres of blue, nine kilometres of red and three kilometres of black marked pistes invite you to ski and snowboard. Beginners can try out the first tests on the boards in the valley. In the Sunny Kids Park, the kids expect special practice lifts, lots of games and, above all, lots of fun. 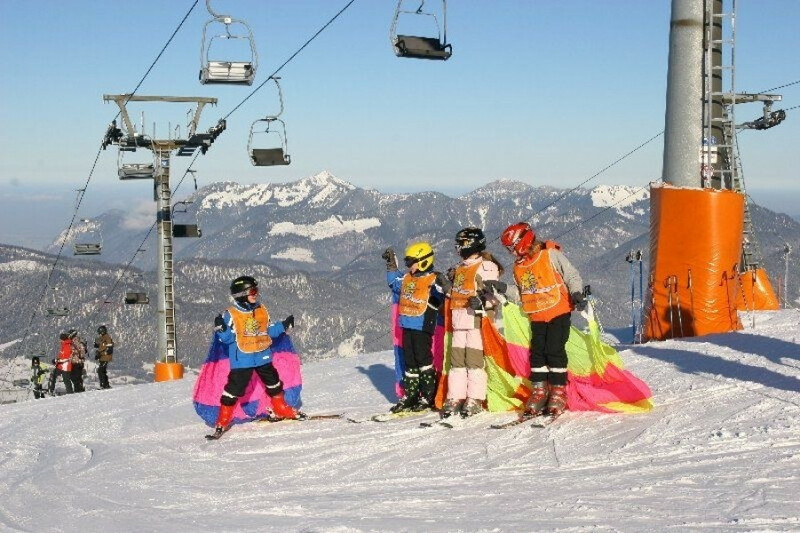 The Ski School Kössen helps young and old beginners to overcome the initial difficulties. If the beginners are sure to be on skis, you can discover slopes such as the family downhill run (No. 3) or the Horn downhill run (No. 1). For the youngest children, lunchtime supervision is possible. Advanced skiers can explore various red marked slopes. The downhill slope (No. 2) or the Brandl run (No. 4) promise pure skiing pleasure, because here the skiers and snowboarders can enjoy the wonderful panorama particularly well. With a slalom and giant slalom slope, the Hochkössen ski area also offers ideal training and racing conditions for experts. Freeride fans will find a ski route.